A wedding ring is an eternal symbol of love. 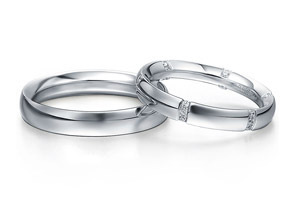 Here at La Vivion you can choose from a variety of men’s and women’s wedding ring designs. Compared to finding an engagement ring, choosing the perfect wedding band should be simple as all you have to do it select the colour and width you are comfortable with. Feel free to browse our wedding rings at La Vivion and select your ideal bands today.